She dressed casually. I guessed she was a type of girl who didn&apos;t care what she looked like as she wore no makeup, unlike some girls who literally painted it on, and didn&apos;t look to over dressed. "So where we going?" She asked. "Well I love Nandos so I was thinking we could go there." I said with a smile. I looked into her eyes, I couldn&apos;t help but get lost in them, seeing as they were so dark. Eventually we got to Nandos. We sat down at a table and ordered food. "Oh and don&apos;t forget the ketchup!" I said sternly making both Sophie and Maria laugh. "What? You could never have too much ketchup." I said as the man put it down and on the table and I nodded to say thank you. We talked for ages. About our likes and dislikes, about background and other things. It was like I have known them for years. "Hey, urm... Would you two like to go somewhere tomorrow?" I asked. "Yeah course." Maria grinned, she had the most beautiful smile. "Ok I&apos;ll pick you up tomorrow morning." The night was great. At the end of the night me and Soph gave Aston our numbers and he gave us his. "I&apos;ll text you when I&apos;m leaving tomorrow morning." He smiled at me. Why did he have to be so kind, sweet and cute? It just made it harder for me not to make a fool out of myself. We walked to his car as he offered to take us back home. We agreed and thanked him as we got into his car. I sat in the passenger seat while Soph sat in the back on her own. When we got home I gave Aston a goodbye hug and boy did he smell good. Everything about him just made me like him even more but he&apos;s a celebrity. He probably has girls falling at his feet all the time. 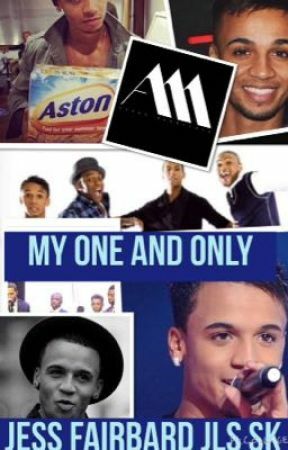 I mean c&apos;mon who wouldn&apos;t want Aston Merrygold as your one and only? Why would Aston like me anyway? Today was great. I can&apos;t wait to see what tomorrow will bring!